You can also get a Chia Hillary Clinton, but I think that one looks more like Benjamin Franklin wearing a necklace. As obligatory, it seems, as the impending November election is the corresponding onslaught of presidential candidate and political merchandise. 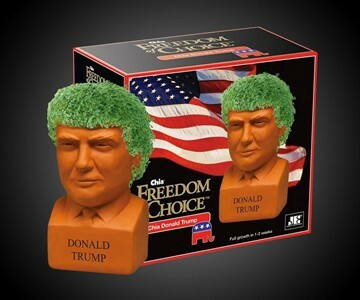 Novelty items like the Chia Trump you see here. Pro / anti-gear in the form of T-shirts, hats, and bumper stickers. Some decidedly anti toilet paper. And, my new favorite, the somewhat ambiguous (for or against?) Donald Trump socks with real faux hair. For or against the Republican nominee, these could go either way. You know how Chia Trump works. Cultivate him, water him, nurture him, and watch his green 'fro grow. It should reach full glory in 1 to 2 weeks. 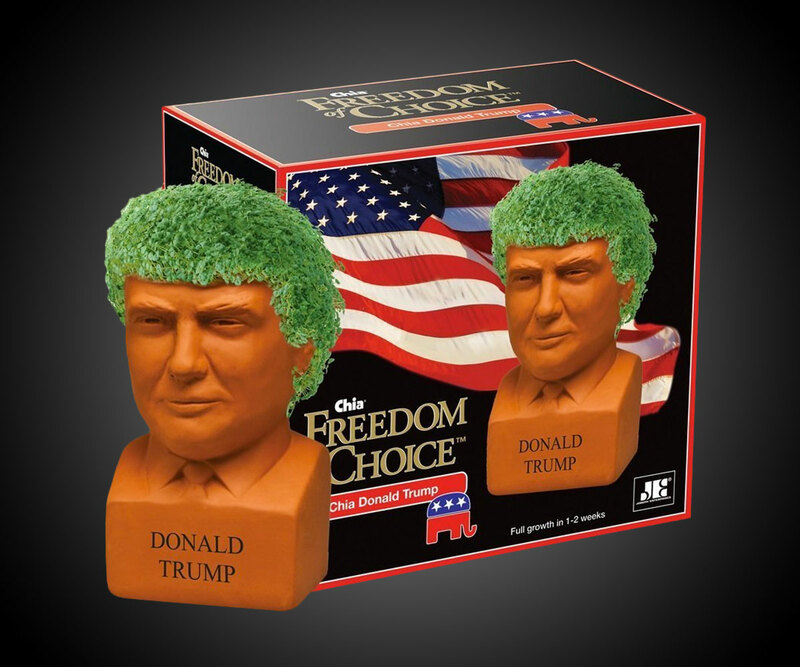 Chia Trump: Make Ahairica Great Again.